Strengthen your content plan with food trends tailored to each generation. Understand the trends resonating with Generation X, Millennials and Generation Z audiences this Fall and Winter! With the 2018 Fall/Winter Food Trends Guide, you will learn the hottest food trends that will enable you to create the right visual content to meet the preferences of these important buying audiences. Download this free resource and first edition of our semi-annual Food Trends and stay tuned! We're already working on the 2019 Food Trends Guide planned to release this winter. 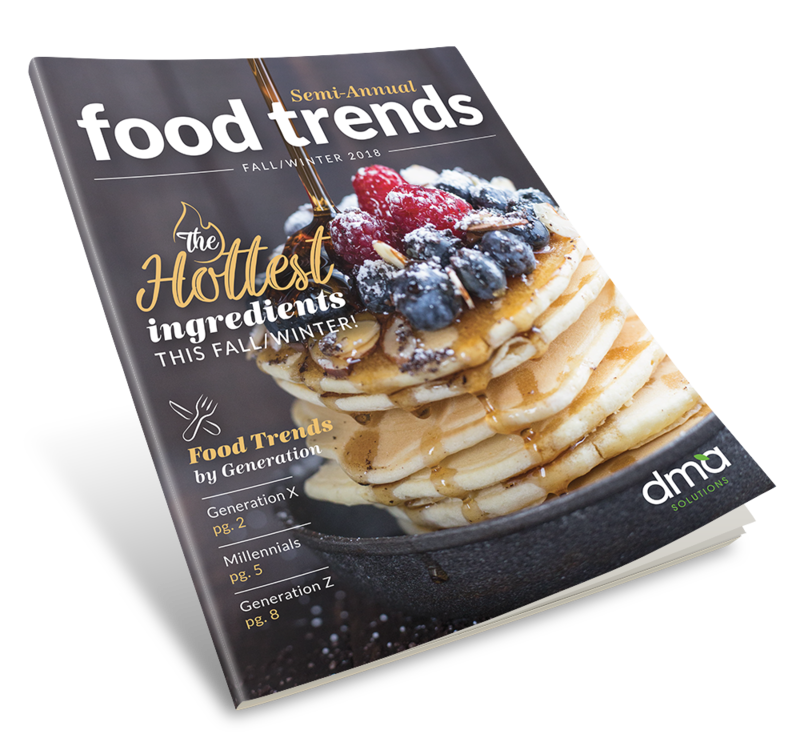 Fill out the form on the right and download DMA's Fall /Winter 2018 Food Trends offer now!